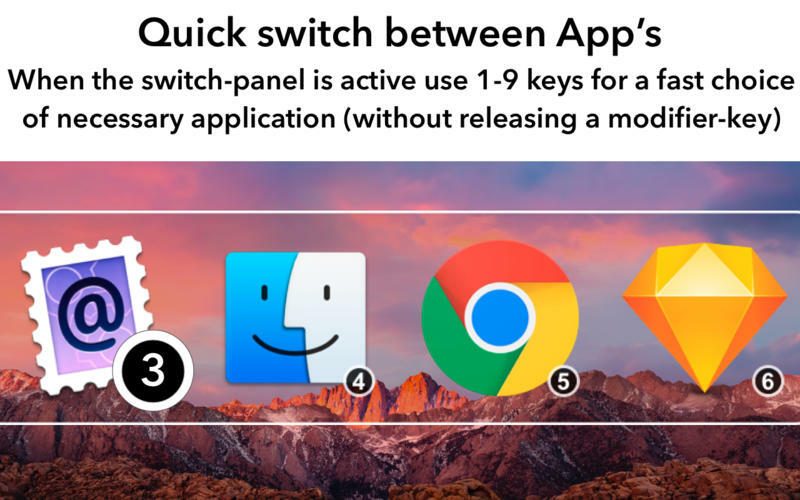 Quick Switch Between Applications - Using Option + Number key makes switch to an app without tapping a bunch of keys. 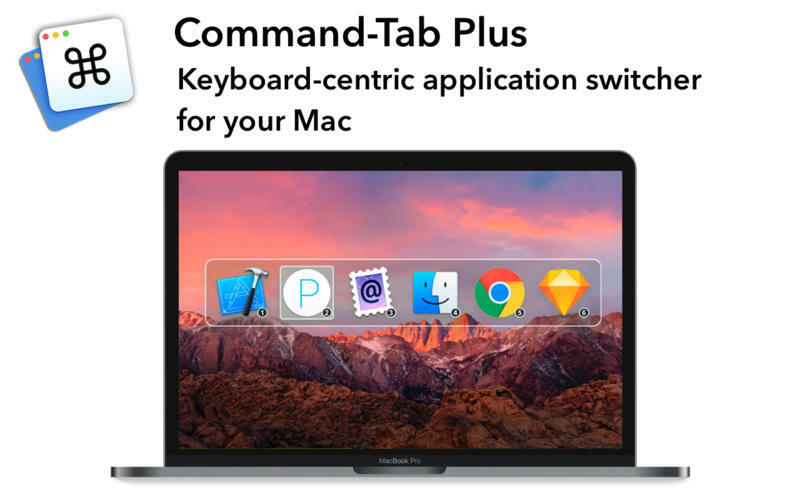 Isolated Spaces - When using Command-Tab Plus, by default it displays only app icons are running on a current display or a space. Thus, apps on inactive spaces are hidden on the current space. Of course, you can disable this function in settings. Hide Unused Applications - Command-tab Plus hides icons of inactive (hidden) apps. 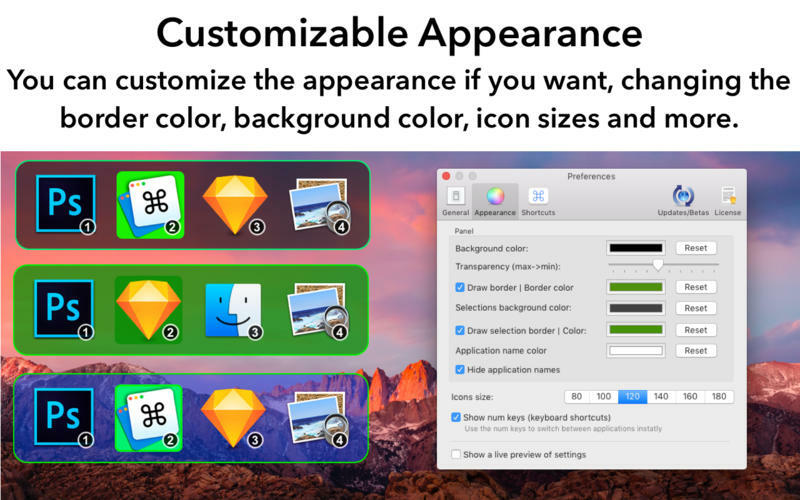 This function allows you switch more quickly between apps you are using at the moment. That is very convenient if you have a lot of apps in the background, but you don’t want them to show up in the switcher.